Grade 2 listed building with an attractive Georgian facade overlooking former County court building & gallow (opposite) which was later used as council offices (until 2006). Now used as a single split level bar with tasteful lounge area & separate seating area for diners. The building dates from two periods in the 19th century. 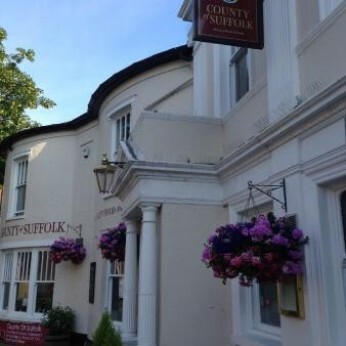 Photographs of this pub and more historical information about it can be found at suffolkcamra.co.uk/pubs/pub/451. This pub is LGBT friendly.